American psychologist Abraham Maslow introduced his concept of a hierarchy of needs in his 1943 paper – A Theory of Human Motivation. This hierarchy suggests that people are motivated to fulfill basic needs before moving on to other needs. The principle of the Need hierarchy is reflected in most motivational schemes – consciously or unconsciously. While the Maslow’s Need hierarchy model is quite explicit it is the interpretation of the highest level that I find fascinating. desire to fill them. However when they are fulfilled they cease to affect you or motivate you. This is because you feel only their lack. Maslow believed that these needs are similar to instincts and play a major role in motivating behavior. 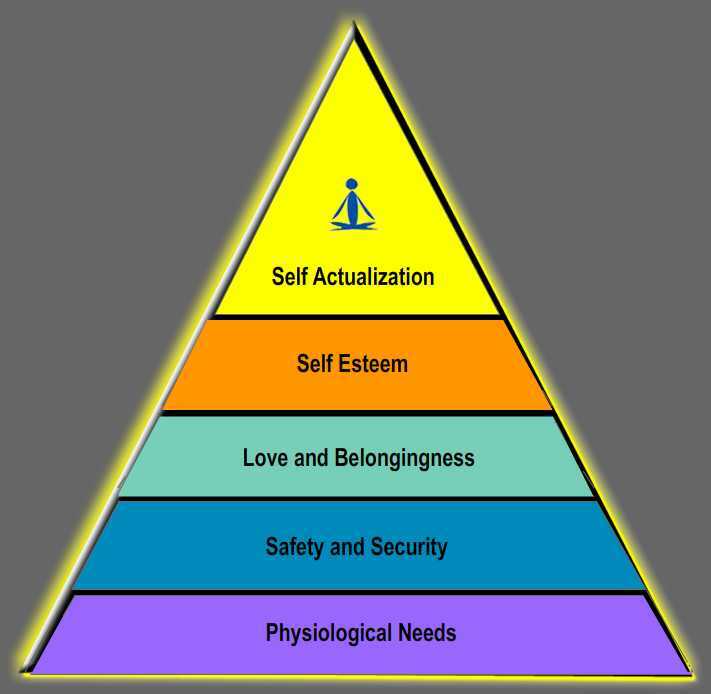 Maslow places self actualization at the highest level. At this level it is not the needs but something much higher. We could call it a state of being. Self-actualization needs are beyond the D needs and known as ‘being values’. When these get fulfilled they don’t go away – but continue to inspire you onwards to infinite levels. This is the subtle level and peak experience – the realization of human potential. Unfortunately most of us are so busy and always in a hurry that we don’t feel the lack of self-actualization. And therefore we don’t feel its need to be fulfilled. So we don’t even know what we are missing. A few of Maslow’s 14 values that self actualized people may emanate are: harmony, playfulness (humor, exuberance), simplicity, beauty, meaning, effortlessness (lack of strain), wholeness (unity, oneness), goodness, uniqueness, truth. realized the purpose and meaning of their lives. Though Maslow observed the behavior of Abraham Lincoln, Einstein, Helen Keller and few others self-actualization is not restricted only to the high-profile and eminent people; you don’t have to be old or famous to self-actualize. Even ordinary people may reach this high level. You can easily identify them by their calming, childlike and radiant aura. The good news is that many from the younger generation have embarked on this journey consciously with full awareness. Their responses are spontaneous and effortless – creative and energetic. Lao Tsu taught that all straining, all striving are not only vain but counterproductive. It means not to literally do nothing, but to discern and follow the natural forces — to follow and shape the flow of events and not to pit oneself against the natural order of things. So there is a hope and a chance for everyone to make each day a joyful and productive experience? Posted by dilipnaidu on October 18, 2010 in Strategic HR and tagged B values, Being values, Chinese wisdom, elusive, Joyful, lakshya, Lao Tsu, Maslow, quest of life, Self actualization, state of being, Tao. The answer is blowing in the wind”. yes how many years must a man walk down before he call him a self actualized person? I know the context of this song is different but this is my way of viewing the self actualization stage. Thanks a zillion for your appreciation.Take care! What a beautiful song … I would love to know the underlying meaning of this song … yes I’d love to explore this elusive concept with you in our class! Honestly speaking I’m still not convinced about the concept of “Self actualization” state of Maslow’s 5 stage of Hierarchy of needs theory. Does it exist in real life? The need and demand are ever changing concepts. For a person who identifies himself at the self actualization state what does mean it to him and the world? Half empty or half full? The self actualization feeling comes from within and the person thinks he’s self fulfilled. The inevitable question arises here that how long he’s going to stay in the same stage and what is the next for him? The day the person will get the feeling of self fulfillment can lose the meaning of life. That would be the perfect “metamorphosis” of his life. How many records can a person really hold? Sachin Tendulkar keeps practically all the records of the game with him. In some areas, he has gone beyond any one’s reach. Still he’s playing since he’s not at the “Self Actualization” stage. An honorary MP of upper house of the Parliament of India or may be conferring him a BHARAT RATNA now , what else will we give him at a stage when he really completes his accomplishments to become a transcended person? When Sachin would reach the stage of self-transcendence in life? Even if he reaches that stage would he take Sanyas and head towards Himalaya? Bill Gates said he would switch his attention to philanthropy—working on global health and education. Infosys’ Naryana Murthy who served his company more than 3 decades said “I will be thrilled and privileged if the board asks me to continue as non-executive chairman while the role of chief mentor would be going to a smart person,” According to Ratan Tata, “What drove me—a man on a two-wheeler with a child standing in front, his wife sitting behind, add to that the wet roads—was a family in potential danger.” Are they not at self actualization stage? What else they want to achieve in their life? Are we saying the decisions of leaders would be influenced by the hierarchy of values that he operates from? I think that in everybody’s life there are certain moments of satisfaction. We feel that after that has been achieved, it is a nice time to change gears and that’s why I think that in an ideal world this concept of Self actualization never exists. I am delighted to read your comments. Gurudev Rabindranath’s famous poem and its profound meaning remains instilled into our minds since our school days. How wonderful of you to connect the poem with the concept of self actualization. YES I do believe Gurudev mostsurely was a self actualized person. How ever the first few thoughts of your needs to be carried further and we can debate on this elusive concept. Many thanks for your comments I appreciate the same. Good question! It is on record that Maslow himself had studied people like Albert Einstein and some other’s like him to formulate his theory. If we read some of Einstein’s famous quotes it futher reafirms the fact. But we have seen few people who are at ordinary levels also exhibit similar behavior. For some moments have self actualization(SA) may come in flashes- perhaps they are on the journey towards more SA. Cheers & thanks for the visit. A self-actualized person is a happy person. The trick is to understand just what makes you happy: that is, to understand what you are and what your talents are, then marry those talents with your interests. When you have combined the two, you have a greater chance of having an exciting, fulfilling life and career. The path to self-actualization can be short and direct if you know your talents and personality at a young age, but for most of us, the path is actually long and convoluted. * PHYSIOLOGICAL – Basic living needs, such as food, water, oxygen and shelter …. * SAFETY – Once physiological needs are satisfied, you need to have a home and other forms of security …..
* SELF-ESTEEM – You need self-confidence, to be appreciated for what you are and be treated with dignity …..
You can achieve the real thing, self-actualization, by seeking ways to help other people in your area of expertise while pursuing what you love to do. Pursuing what you love to do beats competing for success. Do what you love. Whether or not money follows is not vital. What’s vital is that you won’t be wasting your life. Instead of traveling in the fast lane, travel in your own private lane. Self-actualization brings people contentment and happiness. Be a cooperator. Do what you love. Serve others. Reach self-actualization. Make life better for you as well as for the world…..
* They embrace reality and facts rather than denying truth. * They are focused on problems outside themselves. An excellent approach to Self Actualization. I liked your words -“Don’t Seek Success – Seek Self-Actualization”! Well done and keep it up. Thanks for your wholehearted reflections and I am so glad you would be taking this forward. Dear Mr Karthik I warmly reciprocate my thanks! Kind regards. You are absolutely right; and somewhere in you mail, I also appreciate your urge to embark on a journey of Self-Actualisation and that’s the very reason we are all together in this forum. I would like draw you towards your reflections above, in which when you say that people in general who reach self-realisation are those who are rich..and dont have any urge to earn more…and you also said that in today’s world we dont find a person who reached self-actualisation. Have you been or seen people experiencing a situation that they lose their job, lose one of their love, and yet they look for a next day with a smile on their face? Have you seen people who have multiple house, cash rich, very good job, happily married, good health and they dont radiant happiness and stiill keep cribbing? Let us not get confused with this word “Self-Actualisation” as a situation where we should stop aiming high, discarding money and it means that we should go and paly golf and be on a indefinite Meditation. Life throws challenges on us sometimes to realise. Mohandas Karamchand who was not rich, had to be pushed out of a coach-at the age of 28 for him to realise his life’s purpose and he went on to become the “Father of Nation”, Mahatma and for this young India to listen to President of USA ,said ” One of the reason why i stand here as President of USA is because I know Mahatma Gandhi”. A Young school teacher who was not rich, had to see someone dying on the streets of kolkatta, for this world to beautify her as Saint.Mother Teresa. This teacher was standing in front of a rich man’s house seeking donation and rich man reacted with a Spit on her hand…That teacher smiled and responded “I will keep this for me..Now give something for my orphan children”..
Our creator has something in his mind as he allows us to occupy this planet for one more day. Let us find that and not restrict ourselves only with Money, Jewels, titles and Positions. Your response to Ashish and to the contemporary meaning of self actualization is lucid and convincing! I would love to take this forward for a discussion in our HR class as one of the most practical interpretation of this otherwise elusive concept. With kind regards and many thanks! How are you, According to me Self actualization is a stage where you don’t have any tension of work, money and environment around you. When a person has all the things he wants, than the self actualization part come. According to the Theory a person can be a simple man or low class person. But let’s take an example of today’s practical world we won’t find a person in general who has reached self actualization. Generally the person who have reached self actualization is rich people or a person who have everything and he don’t have any urge to earn and get more, or in simple word a person is leaving his/her life the way they want. When a person reaches that place, he relaxes and plays games like golf. I think it’s not the journey it’s the goal, because most of the people die before reaching Self actualization. Every person has vision of reaching on the stage of self actualization before they die. Sir please guide wherever I am wrong. You have clarified the distinction between Western and Eastern philosophies succinctly. I agree self-actualization and self awareness mean the same. As mentioned in my post ‘reaching this level is a journey not a goal’ is significant. Even making it the quest of our life opens us up to the subtle and divine forces and we are relatively at peace with our selves. It’s the practice in our daily life that matters. Hi. I like the connection between Maslow’s self-actualisation and enlightenment and wisdom within Eastern spirituality and philosophy. Western philosophy tends to focus on the individual being wise whereas in Eastern culture, it is so much more “inclusive” as it is characterised by teachings of how any one of us can reach enlightenment. I see self-actualisation as synonymous with self-awareness and the ability to be self-critical and in touch with one’s emotions. I believe that it can manifest into a deeper understanding of other people and therefore these people can be highly productive either woking on their own or as members of a team. When applying Maslow’s theory, one needs to consider context such as situations, roles or tasks as the model is overly simplistic. Humans are complex creatures! Yes, I also find this level intriguing..
My interpretation has been that this level is reflected in employees whose profile is – self directed individuals, high levels of internal motivation, may be on either end of the social continuum (reclusive or totally people centric), have a take-it-or-leave-it approach to the job, and appreciate competent authorities. Their need for personal space and individual satisfaction may sometimes cause them to be critical and overbearing. They are not particularly concerned with recognition or credit, and can be difficult to lead. Does this match anything of your experience? Thank you and “spot on” is how I describe your response. In fact it fits in beautifully in my thought process. Yes I have identified and observed a rare few in my own organizational setting. This of course is on hind-sight . In-spite their immense qualities and valuable inputs these people just would not fall in line with the organization’s culture and flow of events. Yet surprisingly some of them did rise to the highest level of hierarchy. It is indeed gracious of you to provide these stimulating insights. The question was inspired by my MBA class students. Now they can relate self actualization to an organizational context. If i need to define Human Resource Development ,in simple term its unfolding of human potential, in similar context i feel Self Actualization is Realization of ones potential or the art of life. It is a stage where you can be yourself, you don’t have to wear a mask, you are one identity not two. There is no kaam,kraudh, lob aur maya affecting you. You inspire other. 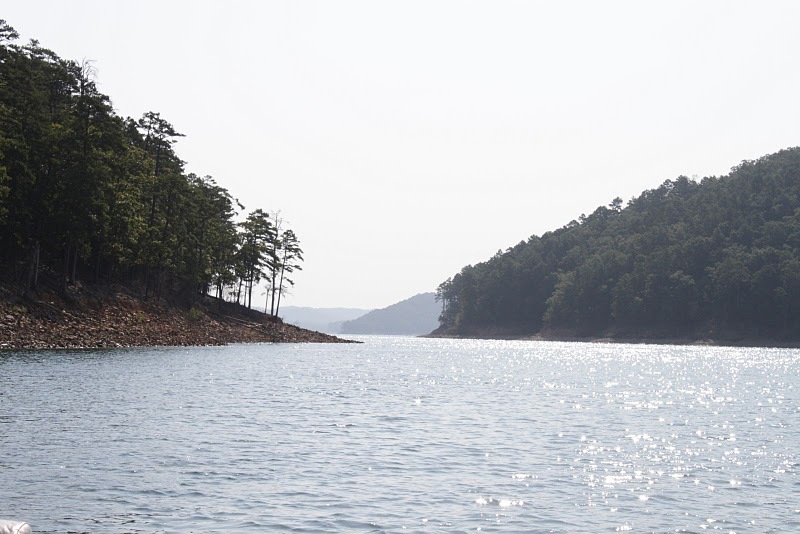 its a event beyond description, as discussed in class it can be attained at any stage of life. If i put it in more simpler words i will say it is like attaining NIRVANA (state of mind that is free from all suffering). In my point of view, self actualization is more about ‘yourself’. its more about finding out, what the reality is?what is the purpose of being in this world? the word ‘actualization’, itself means’ giving the appearance of reality’! it is said that ‘Human Wants are unlimited’…but self actualization is a stage where all the wants seems mundane and the person is satisfied and happy for what he actually is….where he is…. Some people may realize it after getting all other things, which at that time seemed important..but after achieving them…they realized..that still they are not fulfilled!or else as said by you, there are some lucky persons who realize it even before! Welcome! Excellent explanation! Yes I feel people who are self actualized seem to have understood the purpose of their lives. Its true human wants are unlimited – haven’t we seen so many great companies falling from grace Enron, Lehman Brothers and others, even the Recession which started in the US was a result of human greed. Once we understand that even the journey towards self-actualization can make our lives healthy, joyful and professionally productive then no obstacles can stop our progress. Thank you for your participation. With best regards. nirvana shatakam is part of shankara’s exploration of the the question WHO AM I?. It is a useful tool to help us focussed on this eternal question as well as seek the permanence in the impermanent. Shankara through his voluminous work has given the active seeker all possible gospels, sutras, shlokas and bhashyas (to suit the temperaments of the seeker) so that one can choose that which is appealing and follow in principle. The relevance of this particular ‘song’ of Shankara is in its efficacy in defining the permanent nature of man. He has adopted the ‘neti’ (not this) style here to drive home the point that the usual things we associate with our identity / our being are actually NOT us and hence are not too significant to pursue/ improve upon; that these are sheer mere instruments and means that help in the process. So to apply this to management – when such a person seeking permanence – builds or manages business he is automatically long term focussed, is unruffled in the face of adversity or super success (no success traps & depressions) and produces work that is sheer brilliance. using poetic license we can think of persons like Steve Jobs / Ratan Tata as being a kind of representatives of this Band of Men!! Thank you for this wonderful post and also for the thought-provoking comments. Atma-Shatakam / Nirvana Shatakam or The Song of the Self by Adi Shankara is also relevant here? Thank you Geetha for tuning in at the right frequency. I read the Abhyasa Ashram’s article which summarizes the Advaita Vedanta (non-dualistic philosophy) so clearly. Just reading it carefully can make us feel peaceful. Thank you very much. With best regards. Thank you! There is so much to learn from your blog posts and the comments! Mr. Sriram’s responses are very enlightening indeed and I would like to thank him here for the learning takeaways. And I love your “Serene” photograph! “The more tranquil a man becomes, the greater is his success, his influence, his power for good… The strong, calm man is always loved and revered. Calmness of mind is one of the beautiful jewels of wisdom. It is the result of long and patient effort in self-control. Its presence is an indication of ripened experience, and of a more-than-ordinary knowledge of the laws and operations of thought. A man becomes calm in the measure that he understands himself as a thought-evolved being, for such knowledge necessitates the understanding of others as the result of thought. And as he develops a right understanding, and sees more and more clearly the internal relations of things by the action of cause and effect, he ceases to fuss and fume and worry and grieve, and remains poised, steadfast and serene. The calm man, having learned how to govern himself, knows how to adapt himself to others; and they, in turn, revere his spiritual strength, and feel they can learn of him and rely upon him. The more tranquil a man becomes, the greater is his success, his influence, his power for good. Even the ordinary trader will find his business prosperity increase as he develops a greater self-control and equanimity, for people will always prefer to deal with a man whose demeanour is strongly equable (serene). “Who does not love a tranquil heart, a sweet tempered, balanced life?” It does not matter whether it rains or shines, or what changes come to those possessing these blessings, for they are always, sweet, serene, and calm. Your exposition of the the words ‘serene’ and ‘tranquil’ is a treat to read. And you have articulated its essence beautifully. The characteristic of a serene person as described by you will inspire anyone who reads it. However the serenity in a person can manifest only after firm commitment and constant practice with full awareness. As you said it is worth is much much more than money and wealth. If we go for the latter alone then it may come to us at a cost perhaps with some measure of unhappiness and unrest. No ambition is not a human trait, we are defined by achievement as it makes us feel worthwhile. The problem starts when we rate our achievement against an unachievable goal. I love to carve but never started because I wanted to be be as good as Michael Angelo. Once I learn’t that all I had to be as good as was my best I started to carve, and got better. Self belief is something the education system beats out of us and as a result most people lack the self confidence to achieve. The ambition is still there just not realised. Very well written comment explaining the positive dimension of an ambition. Yes all we need to do is to keep doing our best with no unreasonable expectations. I fully endorse your observation on the inability of our education system to build and develop the full potential of the young folks. Thanks for dropping by. Best regards. Hi Dilip, thank you for your kind words. I am keen to explore how we can reeducate people to help them understand their real potential. I’d love to add my views on your blog post for whatever its worth and thanks for the honor! What Maslow terms self actualization is what the Gita terms as the state of the Sthitha Pragya or what we understand loosely as the Self Realised Being. Eastern Philosophers have investigated this topic in great lengths and have looked at this through various perspectives.While some of them describe the nature and behavior of a Self Realised Master, Some describe the methods to get there, while some discuss the so what of it. If we look at the roots of the word actualization, it derives its existence from ‘action’ and ‘here and now’ – translated as one who is FACT. So who is this one who is FACT? – One who is always in the moment, looking at things as always anew (no prehistoric prejudices / perceptions clouding vision), seeking the ‘permanent’ and aware of the illusions that contort and twist and befuddle. The word Sthitha Pragya means one who is always seated in the permanence (stable minded). Also translated as one who is seated in the highest knowledge. Chapter 2 Verses 54 to 72 describe the various facets of one who is a Sthitha Pragya – and this is a discussion prompted by Arjuna’s query with the Lord answering giving wonderful illustrations to describe the nature of the individual who has become Sthitha Pragya. This is how practical tips are strewn all over our rich scriptures – only we need to engage with them with a sense of self reflection to make them a part of our lives. Starting with a classic question – WHO AM I? – it makes us more observant of ourselves and helps us to look at our own behaviors objectively and starts off the cycle of reflection and refinement followed again by reflection and refinement till a point where there is no further refinement is required ….. So what Maslow said in the 1950’s is what has been the life’s mission for all the eastern philosophers and masters for eons…. This is practical because the Gita declares unequivocally that such a person alone is able to ‘enjoy’ life and not suffer from it!! Lets begin in right earnest… because the great sage Ashtavakra has proved that the time taken for a person to move into a state of self realisation is but a moment! In your second response you have explained nirvana shatakam very well – from what I understand the essence is the same – who am I? I liked you mention of Ratan Tata and Steve Jobs. I agree with you and maybe some day I’d want you to share virtues not commonly known of these great men. Thanks Sriram and best regards! Very well written by Sriram. if you ask “Who am I?”, the answer is Tatwamasi. It took 18 chapters to explain these three words. Lord described Twam in first six chapters; Tat in ch. 7 to 12 and Asi in last 6 chapters. This is the greatness of Sanskrit language and our scriptures; where maximum is said in very few words. Best of luck SriRam & keep going. Suhas buddy what a lovely appearance on this blog! And a well deserved appreciation for Sriram! The Taoist sage may indeed fail by having no ambition, depending on how success is defined. If he defines success merely as lack of failure, then maybe so, but Maslow’s being values are attributes that define a higher state of experience, which doing nothing may not enable you to reach. So if an existence where Maslow’s values are not attained, by whatever means, can be classed as success, then Taoist sage is correct. Otherwise, he is not. Hi I appreciate your view point. and agree that with most people it will be impossible to achieve anything without ambition and by doing nothing. However there could be a subtle meaning to the Chinese wisdom – and that we term as ‘action in inaction’. When someone is at Maslow’s Self Actualization level he is in a state of calm and of uncluttered mind and so concentrates with intensity. His actions have a spontaneous flow and rhythm – while he achieves a lot it seems effortless. Only a rare few who reach that level!